On March 21st, Nigerian author Chinua Achebe, seen by many as the father of African literature, passed away at the age of 82. He is most well known for his novel Things Fall Apart, a book I've had on my wishlist and have been meaning to read for quite a while ever since I read Heart of Darkness by Joseph Conrad. A few years back I took a film versus literature course in which one of the books we compared was Conrad's book with the movie Apocalypse Now. Included in the book were several essays including one written by Achebe called An Image of Africa: Racism in Conrad's Heart of Darkness. It was a reprisal of a lecture he had given in 1975 tackling the racism portrayed in the story. Achebe believed that not only were the ideas in the book racist, but reflected the author's personal beliefs. The point of my observations should be quite clear by now, namely that Joseph Conrad was a thoroughgoing racist. That this simple truth is glossed over in criticisms of his work is due to the fact that white racism against Africa is such a normal way of thinking that its manifestations go completely unremarked. Students of Heart of Darkness will often tell you that Conrad is concerned not so much with Africa as with the deterioration of one European mind caused by solitude and sickness. They will point out to you that Conrad is, if anything, less charitable to the Europeans in the story than he is to the natives, that the point of the story is to ridicule Europe's civilizing mission in Africa. A Conrad student informed me in Scotland that Africa is merely a setting for the disintegration of the mind of Mr. Kurtz. Which is partly the point. Africa as setting and backdrop which eliminates the African as human factor. Africa as a metaphysical battlefield devoid of all recognizable humanity, into which the wandering European enters at his peril. Can nobody see the preposterous and perverse arrogance in thus reducing Africa to the role of props for the break-up of one petty European mind? But that is not even the point. The real question is the dehumanization of Africa and Africans which this age-long attitude has fostered and continues to foster in the world. And the question is whether a novel which celebrates this dehumanization, which depersonalizes a portion of the human race, can be called a great work of art. My answer is: No, it cannot. Achebe, too, felt alienated by the depictions of Africa found in English novels, and identified Joseph Conrad as a particular foe. NPR's Robert Siegel, in an interview with Achebe, quoted an essay Achebe had written, "I was not on Marlow's boat steaming up the Congo in Heart of Darkness. Rather, I was one of those unattractive beings jumping up and down on the river bank making hard faces." Achebe told Siegel: "I realized how terribly, terribly wrong it was to portray my people, any people, from that attitude, from that point of view." Having read Heart of Darkness I can totally understand his point of view and why I wanted to read Things Fall Apart. 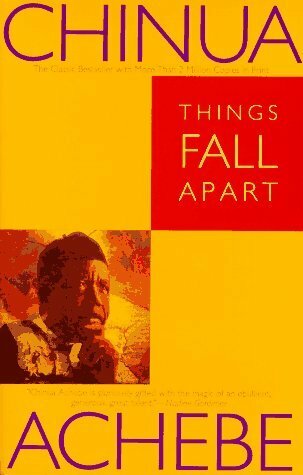 Synopsis: "THINGS FALL APART tells two overlapping, intertwining stories, both of which center around Okonkwo, a “strong man” of an Ibo village in Nigeria. The first of these stories traces Okonkwo's fall from grace with the tribal world in which he lives, and in its classical purity of line and economical beauty it provides us with a powerful fable about the immemorial conflict between the individual and society. The second story, which is as modern as the first is ancient, and which elevates the book to a tragic plane, concerns the clash of cultures and the destruction of Okonkwo's world through the arrival of aggressive, proselytizing European missionaries. These twin dramas are perfectly harmonized, and they are modulated by an awareness capable of encompassing at once the life of nature, human history, and the mysterious compulsions of the soul. THINGS FALL APART is the most illuminating and permanent monument we have to the modern African experience as seen from within." The book is now winging it way to me (thank you Amazon) and I'll probably be reading it sooner than later. Will I be rereading Heart of Darkness since it's been 3 or 4 years since I read it? I don't know - It is a short novella that packs a punch and stays with you for a very long time. 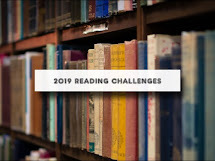 Your mission, should you choose to accept it, in honor of Chinua Achebe, is sometime this year, read and compare Heart of Darkness with Things Fall Apart, then watch Apocalypse now. Check out his other books here. Things Fall Apart is on my tbr list! All of the information here about Chinua Achebe was very interesting. I had not thought of reading THINGS FALL APART before. Now I might do that. I loved Things Fall Apart when I read it for a postcolonial lit class. I want to check out one or two of his children's titles this year.